I'm a little behind in getting this out, but this month, our little girl turned 3! Our darling little J: our curly girl and little mommy and doctor, who loves to cook, draw, read, sing, dance, and take care of others. We feel so blessed that God brought us together as a family! We love you so much! Birthdays are a big deal at our house - we go all out with a lot of DIY decorations and special touches to make the day week extra special for the birthday guy or girl! Right now, J loves Doc McStuffins, a show about a little girl who is a doctor to her toys. (I actually like the show too - it's very sweet!) So we decorated the kitchen with crepe paper, banners, and with characters from the show for a Doc McStuffins birthday party. When J came downstairs the morning of her birthday, she kept jumping up and down and shouting, "It's Doc! It's Chilly and Lambie! It's my birthday!" I loved getting to see the excitement and joy in her face! I was going to decorate the cake like Chilly the snowman, but Target came to my rescue again! They had all their Disney toys clearanced the week before her birthday. What could be more perfect for J (and easy for Mommy!) 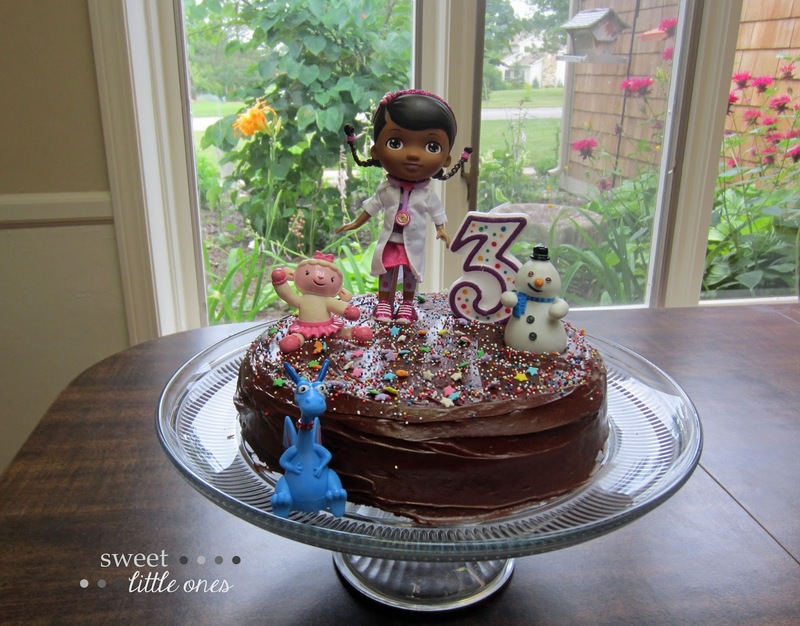 than the actual Doc McStuffins characters on her cake? I did make a few things on my own though. 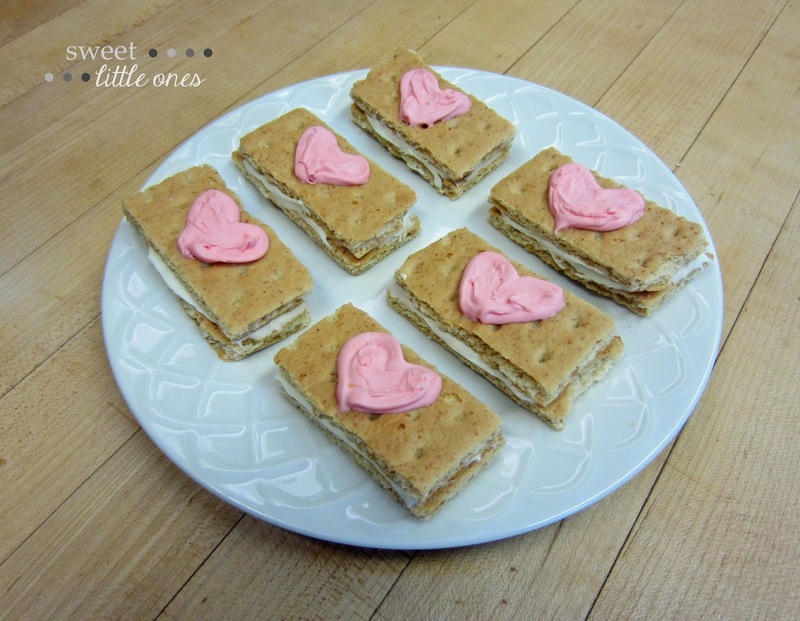 ;) For special little snack, I made Doc McStuffins' special pink heart band-aids out of graham crackers and leftover cake icing. 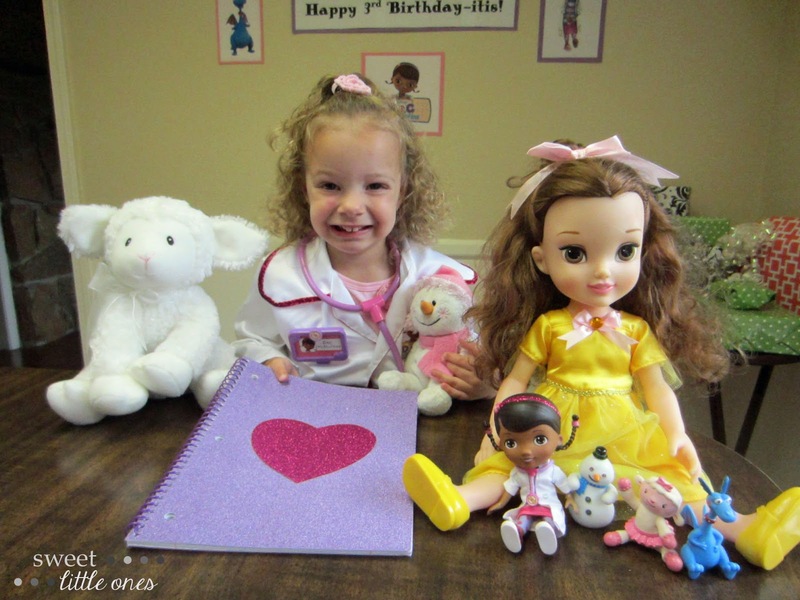 Then, I made Doc McStuffins' Big Book of Boo Boos for her too. This was my favorite gift for her! She loves coloring and drawing so I knew a Doc-themed blank notebook would be perfect. So I got a purple sparkly notebook and bright pink sparkly scrapbook paper. Next, I traced (from a cookie cutter) and cut out a heart and then hot glued it to the front. That and some crayons and stickers make for her very own book to write down everyone's diagnoses in - just like Doc. In the show, Doc McStuffins has a sign on her clinic that says, "The Doc is in/out". J loves playing pretend doctor so I wanted to make her her very own doctor sign too. 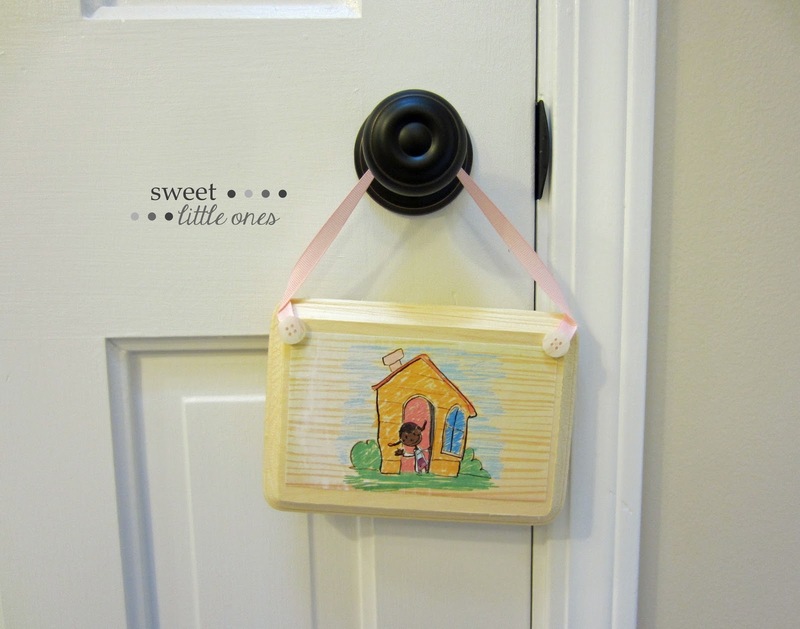 I got a small wood plaque, modge podge, a sponge brush, a roller, a hot glue gun, pink ribbon, and white buttons (all from Hobby Lobby) to make this. I got the picture of Doc's sign from here. I printed them off, cut them out, and then modge podged one of them with the sponge brush and place it on the wood plaque (making sure it was flat with the roller). Then, I repeated this with the second side after the first side was dry. Once everything was dry, I modge podged over the top one time. (Then once again, I repeated this on the second side after the first was dry.) After it was completely dry, then I hot glued ribbon to hang it and buttons to cover the ribbon ends. It turned out so cute! And J loves the new addition to her very own clinic. 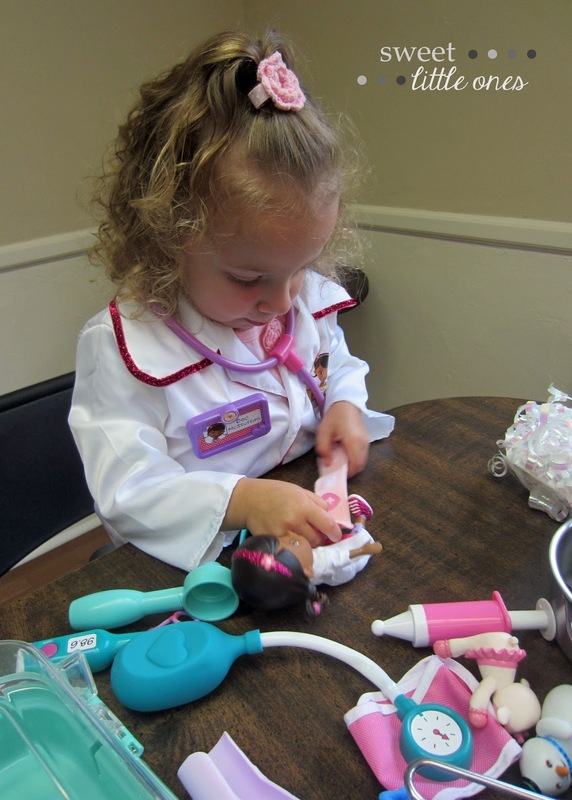 She also got Doc McStuffins' lab coat and a play doctor kit. 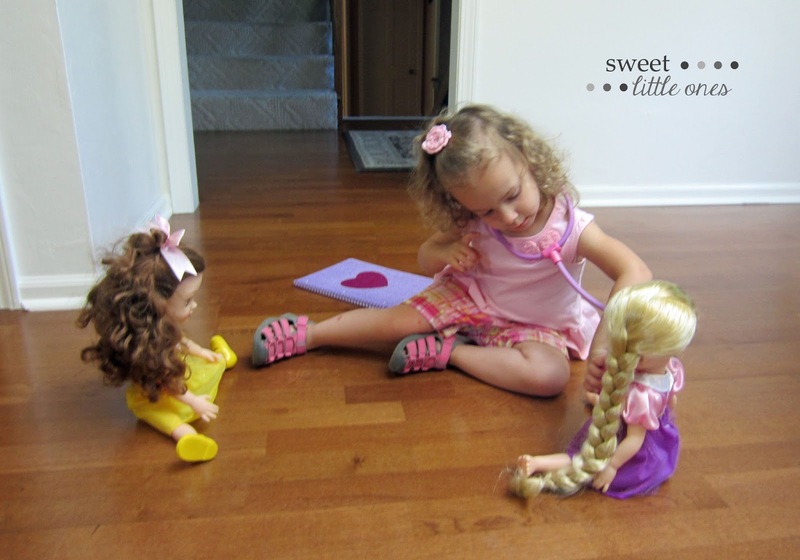 So now, she is Doc McStuffins. And trust me, she is taking this very seriously. She has been giving everyone and everything a check up ever since! J loved her Doc McStuffins birthday party, and we loved watching her enjoy every minute of it! Growing up, my mom went all out for holidays and birthdays. She would always strive to make these days extra special. She has definitely passed that on to me! I love decorating and celebrating special days like this. For me it makes our house a home and shows the birthday guy/girl how special they are! 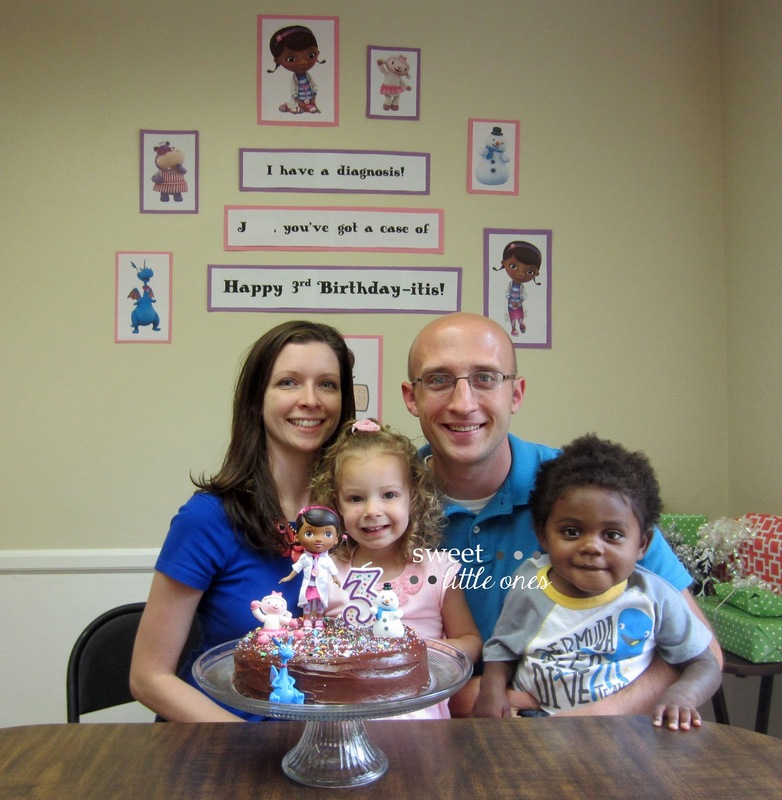 What do you and your family do for birthdays? Awww, happy happy birthday to your Josie! 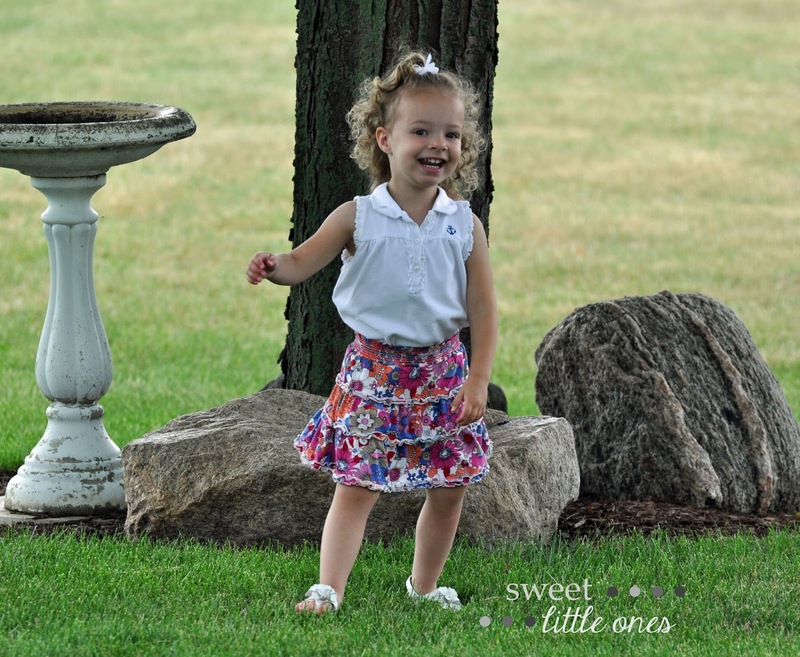 She is just adorable!